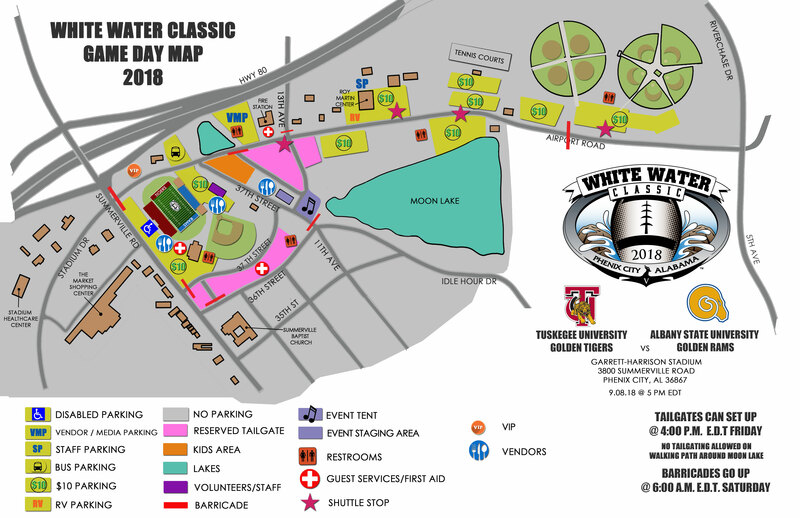 For information regarding becoming a vendor at the 2018 White Water Classic, please call Jennifer Lowman at 334-448-2855, or send her an email. See the game day map for location details. In order to become a vendor during the White Water Classic, you must obtain a temporary business license from the Finance Department. Please fill out a license application and return it to the License / Revenue Clerk located at 1119 Broad Street, Phenix City, Alabama 36867. For information, please call 334-448-2724. Please Note: There is a $22 fee associated with this license. Note: The application deadline is Tuesday, September 4, 2018.